Contact a Lance Andrew Law Sideswipe Attorney Today! You’re legally driving in your lane of traffic, following all safety laws and paying attention. Out of nowhere, you feel a violent jolt and your car is forced out of control and off the roadway or into an adjacent lane. You have just been in a sideswipe car accident. Sideswipe accidents are common, particularly in this age of texting and driving. An inattentive or distracted driver can wander into your lane or attempt to change lanes without adequately checking to ensure that no other cars are in that lane, and a sideswipe collision occurs. If you’ve been in a sideswipe car accident, call a Lance Andrew Law Utah car accident lawyer today to discuss your options and how you can obtain full and fair compensation for your injuries. Sometimes, the forces involved in a sideswipe accident are not as violent as those in a direct side collision, a rear-end collision, or a head-on collision, and result in no more than some damage to your vehicle. But sometimes, sideswipe collisions can result in serious injuries. Because sideswipe accidents usually involve changing lanes, there are often significant disputes about who is at fault for the sideswipe collision. Gathering physical evidence and witness contact information is critical to pursuing a successful claim for compensation after a sideswipe accident. If you can, take photos and ask witnesses for their name and phone number, or have someone else do that for you. 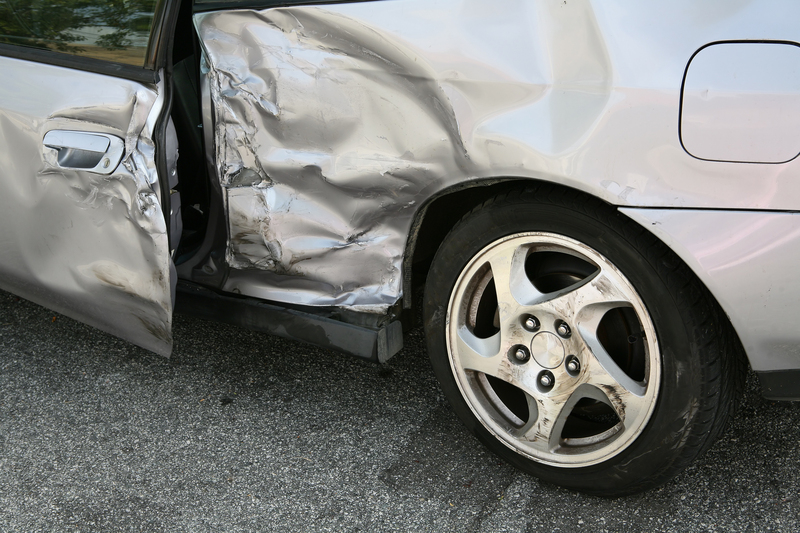 What is most important is that you and your family members are safe and healthy after a sideswipe car accident. Get prompt medical attention, and follow your doctor’s orders. If you or a loved one has recently been involved in a sideswipe collision, our attorneys can give you the personal care you need. In the wake of an accident, we will do everything possible to make sure you are informed, protected, and fairly compensated. Our expert sideswipe collision lawyers will travel anywhere within the state of Utah to make sure you have the legal assistance you need. Our initial consultation is always free! You deserve competent, dedicated sideswipe collision attorneys who will give your case and the people involved the personal attention they deserve. We never hand off cases to paralegals or case managers, Dustin Lance or Jessica Andrews will personally handle your situation.